ARRL contest branch - All ARRL contests for current year are listed along to generic ARRL contest calendar is also provided that gives the weekends for all ARRL events. The Contest Corral files include non-ARRL events. The OPDX Bullettin - The Ohio/Penn DX Bulletin is freely distributed on the Internet and packet clusters around the world, by Tedd Mirgliotta, KB8NW. 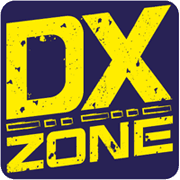 Published almost on weehly basis the OPDX is one of the oldest DX news list on the internet. ARRL DX Bullettins - ARRL W1AW Bulletins are spread via internet and on the airwaves, in a variety of modes SSB, FM voice, CW, RTTY, MFSK16, and PSK31. W1AW publishes general interest bullettins as well as propagation reports,satellite and dx news. The GOLIST, QSL manager list - Source for Qsl manager routes. GOList has been helping DXer's like yourself with QSL routes for those elusive DX Stations since 1980. ARRL new Hams Page - Welcome to Amateur Radio (HAM RADIO), by ARRL. A good Starting point for novices. Desert RATS forum - Ham Radio Open Forum for all Hams. Sponsored by the Desert RATS (Radio Amateur Transmitting Society) .Palm Springs, Coachella Valley and the inland Desert Communities in Southern California. Microwave Email list - Message list about 903 Mhz. and above bands. Use various VHF reflectors for the 432 and lower bands. Most traffic will be about 2304 and above. AOR UK Ltd - Manufacturer and distributor of AOR equipment for England and Ireland. Centaur Electronics, Inc. - Baluns for amateur and commercial radio. Carrier Communications - Carrier Communications sells new and used Motorola and GE two-way radios and microwave equipment We also rent space in 22 antenna sites located throughout California to commerical and amateur radio users. Kamko QSL cards - QSL cards by Kamko, samples, order form. Weather Fax and Weather Satellites pop - Weather Fax for Windows hardware and Software.